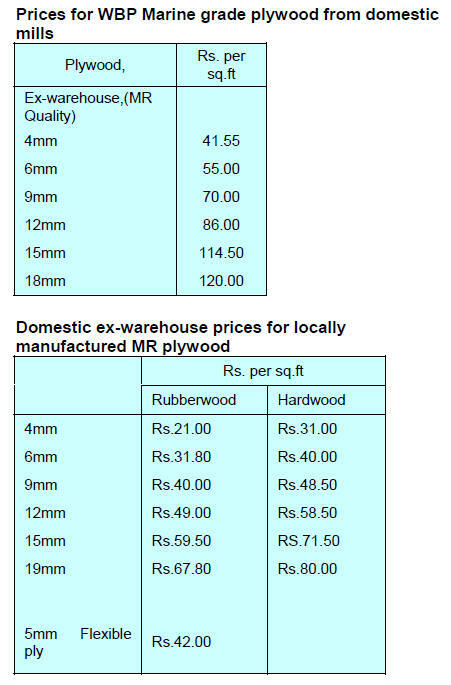 significant changes in current prices. quarter with an emphasis on sawnwood. Will KD requirement apply to all species? Malaysia rather than from African suppliers. 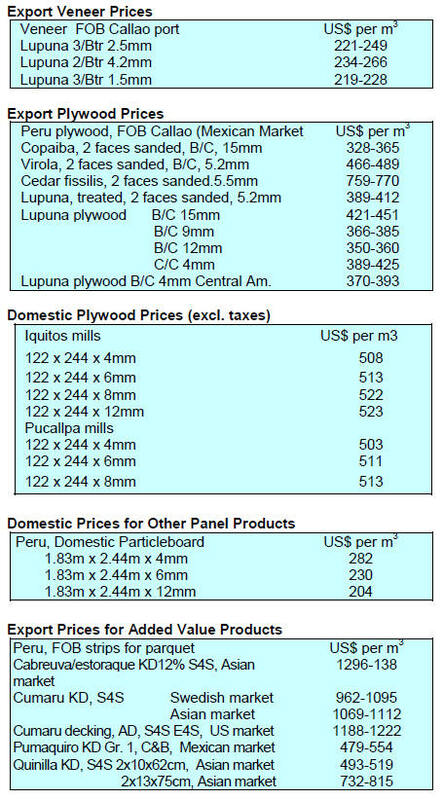 panels have a competitive edge in Middle East markets. 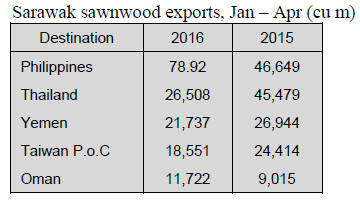 volume (251,000 cu.m) was in 2012.
products export volumes from 2010 to 2015.
revenue in 2012 dropped to a low of Euro 99.8 million. 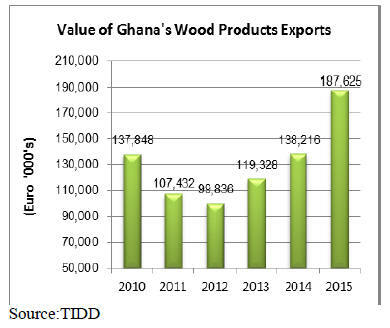 wood products for the period 2010 to 2015.
is part of the Ghana government¡¯s road development plan. the development of West Africa. which is in high demand in Asia. 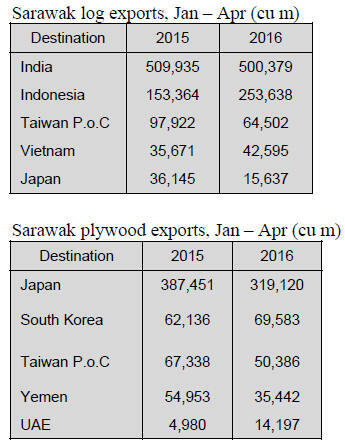 downstream timber industry in Sarawak. recognition and acceptance in importing countries. Development Plan 2015-2019 as a development priority. raft of bi-lateral and multilateral organizations. 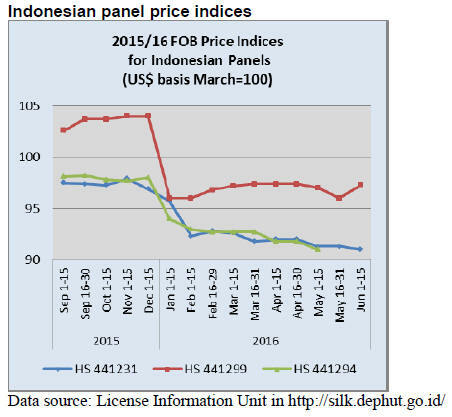 benefits to both Indonesia and France. coming fiscal year (April 2016 to March 2017). teak and hardwoods in Bago Yoma, the home of teak. forested with teak and other commercial hardwoods. 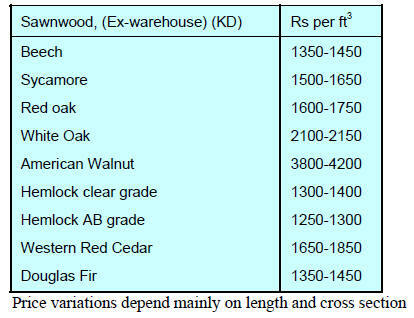 to grading which account for the wide range in prices. buying for processing for export. speaking on behalf of one segment of the sector. contactors used by MTE to harvest and haul logs. is encourage added value manufacturing and exports. by U Kyaw, Win Minister of Planning and Finance. previous commission will keep the same position. the onset of the 2016 monsoon 2016 in Kerala. which runs between June and September. 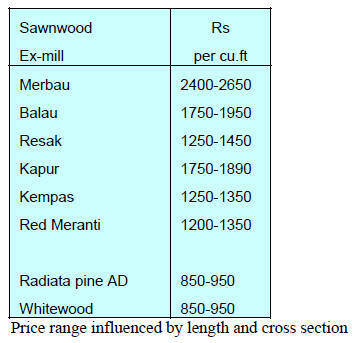 price range secured for various grades is shown below. 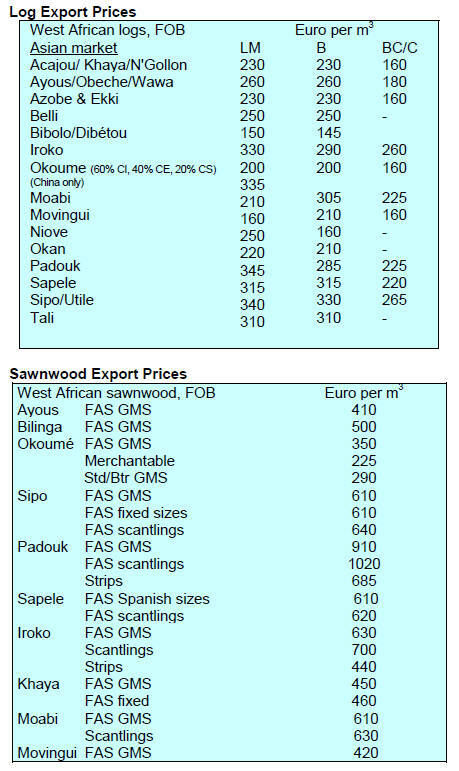 500 per cu.ft for medium quality logs. Divisions of Dangs and Valsad forests from13 to 22 June. 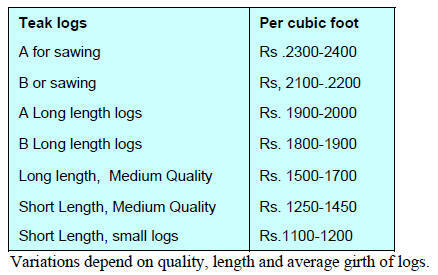 girth and lengths of recently arrived logs. countries are now included in the table below. 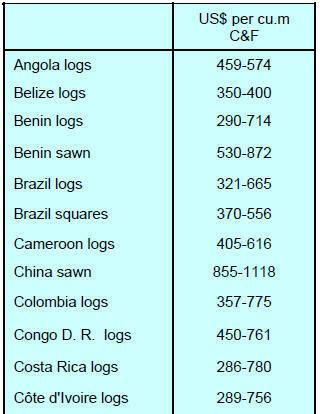 plantation logs) is now arriving from Myanmar. potential to add around 2% to the country¡¯s GDP. is satisfied by small and unregulated players. guarantees to consumers can be based. wooden frame housing construction in Brazil. 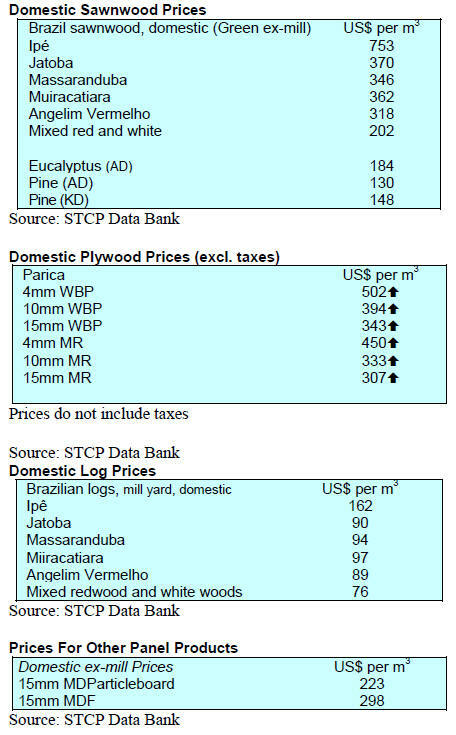 promoting the trade of legally sourced timber. Programme, set to run through 2020. US$5.3 million from the Government of Sweden. and paper exports increased 7.8% over the same period. million. 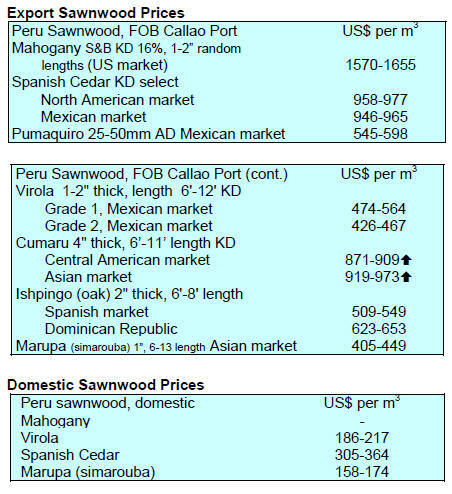 Peru exports mainly sawnwood and plywood. 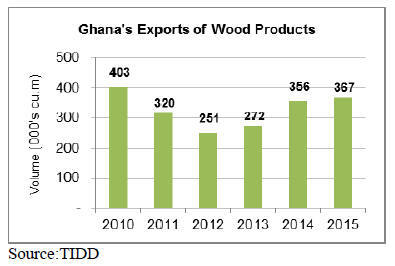 margin (imports US$668 million, exports US$67 million). 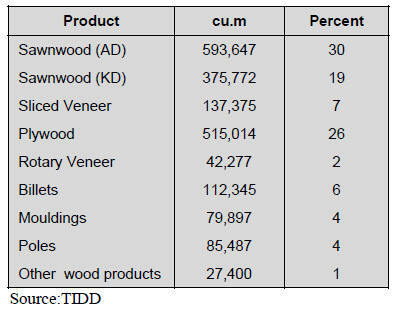 million in order to provide loans to timber enterprises. with the support of Germany. 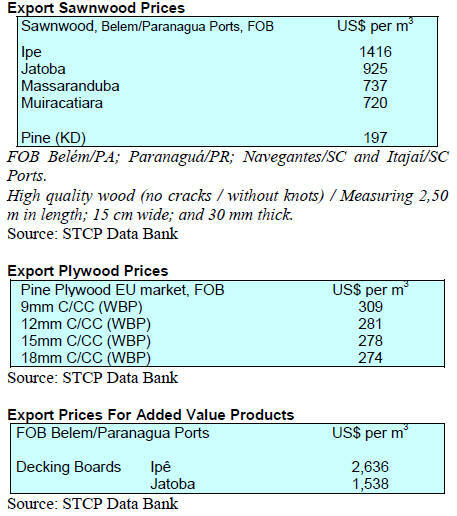 Region which has a viable wood tracking system in place. executes national and sectorial policies.